Since perhaps the dawn of human consciousness and self-awareness, man has explored various means to unite his body and mind so as to produce a superhuman effect and near apotheosis state of being. To this end various forms of meditation and physical ritual, including pain and suffering, the ingesting of mind altering substances, fasting, and a cornucopia of endeavors have been practiced throughout recorded time. These practices have been quasi-exploited in modern times as seminars, lectures, books, DVD’s, retreats, spiritual awakening events and the like. These examples of merchandizing now form the foundation of a vast industry profiting from our simple desire to be more enlightened, self-aware and conscious of our purpose. The sad part of this journey to attain mind-body synchronization is that it is implicitly flawed by human hubris. Man’s character flaw of ego hides from man the manner in which Jiriki, salvation from within, can be attained. It is for this reason that one who desires to embrace Jiriki Kata-Do, inner salvation from Kata, must abandon and surrender human hubris. To understand this surrender, a concept from Karate-Do (The Way Of The Empty Hand) and specifically Goshin-Do Karate-Do (See Endnote # 2), can provide an illustration. The concept is known as “Zen-Ken-Ichi”, or “Mind and fist are one.” “Ken” or “Fist” symbolically represents one’s entire body. Thus, Zen-Ken-Ichi is used to express the need for body and mind unification so as to achieve the necessary state of being for engaging in the practice of Karate-Do in general, and specifically the Kata of Karate-Do. 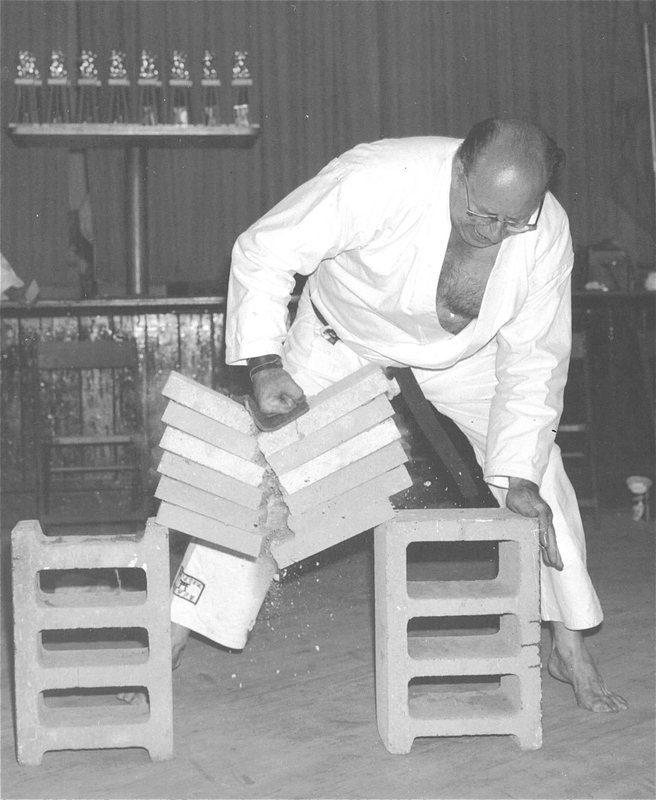 Zen-Ken-Ichi is difficult to achieve, even by accomplished Karate-ka (practitioners of Karate). Many years of dedicated practice is required before one may taste a mere smattering of mind-body unification. Such unification will enhance the practitioner’s state of being and awareness of self to a blissful sense of self. In this condition, the human body and mind is capable of producing superior physical and mental results. It is at this point that the Karate-ka allows his hubris to artificially assure himself that the zenith of development has been reached. Once such a state is achieved, the Karate-ka will, invariably, believe that the “end-all” has been attained. After all, once one’s mind and body are synchronized and unified, what more can there be? The answer to the above question is initially discovered in devoted practice of Sanchin and further developed in the continuing study of Jiriki Kata-Do by way of the rituals of Seienchin and Suparunpei. 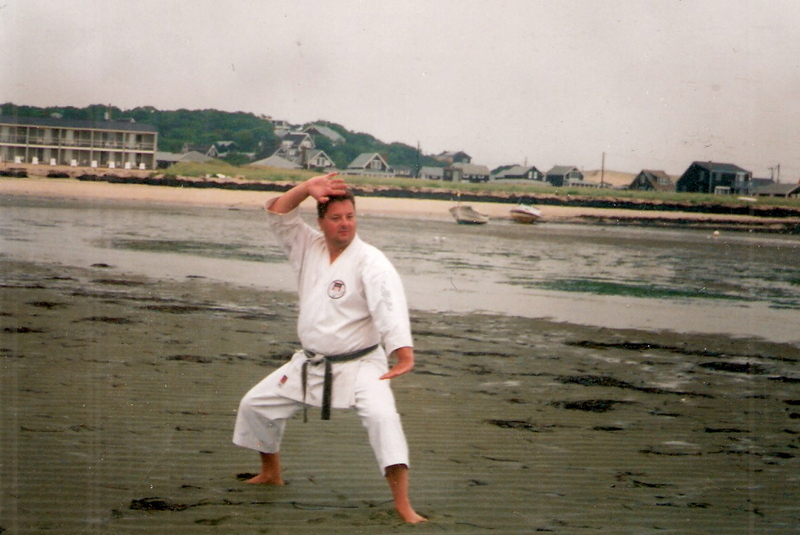 The Jiriki Kata-Do definition of the three battles of Sanchin leads one to a more comprehensive, eclectic higher state whereby mind-body unification (Zen-Ken-Ichi) is a mere stepping stone. The highest human state is only achieved when the energy of the universe that is external to the human is united and synchronized with the mind-body energy of the human creature. Thus, the inadequate state of Zen-Ken-Ichi should be more completely expressed as Zen-Ken-Kenkon-Ichi, or, “Mind-Body-Universe are one.” Zen-Ken-Kenkon-Ichi is, therefore, a restatement of the three battles of Sanchin advocated by my dynamic ideology of Jiriki Kata-Do. Ancient man acknowledged and accepted that energy, or spirit, exists in all aspects of the universe. As modern man is unable to exert his control over the natural universal world, he sought to ignore this interconnectivity. Modern man replaced the understanding of the natural order with man-made theological dogma. Jiriki Kata-Do reawakens our acknowledgement of the primordial phenomenon of universal energy accepted by our ancestors and abandoned and cast aside by our modern hubris. 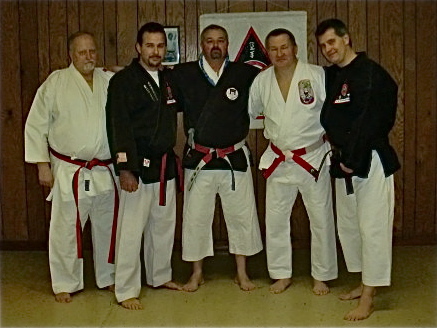 A word of thanks to all at the USA Goshin-Ryu Karate Dojo (Bogota, NJ) who shared an intriguing Sanchin Session Wednesday, February 8th, 2012 (Left to Right: Sensei Bob W., Sensei Pablo P., Me, Shihan Ken Z., Sensei Scott Z.) – thanks for a great night. Shihan Zuck is director of the Flanders Isshinryu Do-Kai and a member of American Isshinryu / OIKKA. In closing, I remain unified in mind and body and through continued devoted practice of Jiriki Kata-Do, synchronized to the energy of the universe within which I exist. 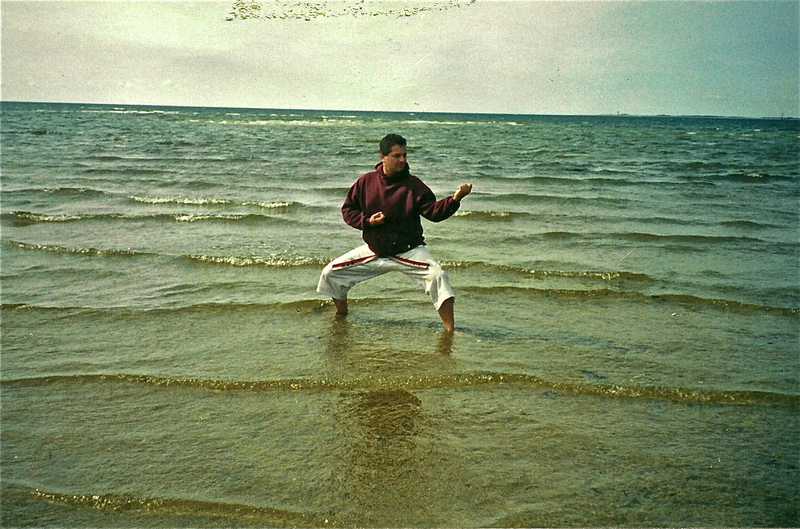 As I propose in my Sanchin Book, the metaphysical battle of Sanchin was either lost to time as practitioner’s focused merely on the internal aspects of Sanchin, or was deliberately withheld by the most ancient of pre-Sanchin practitioners, the practitioners of Indian Pranayama, prior to Sanchin arriving in China and subsequently Okinawa. The Kanji for Seienchin is interpreted as, “Calm in the storm, storm in the calm” and, alternatively, “Walk far to quell and conquer.” The Kanji for Suparunpei is interpreted as “108 Hands” which is an acknowledgement of the 108 worldly desires found in the Buddhist traditions.